Want to improve your smile with porcelain veneers in Anchorage? Dental veneers are one of the more popular cosmetic dentistry treatments available at Turnagain Dental. These small sheets or layers of porcelain are affixed to the outside of imperfect or unattractive teeth to cover up flaws. 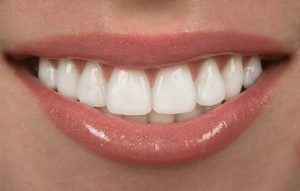 Veneers are also a great way to create uniformity between the teeth. Dr. David Green can place a single veneer over an abnormal looking tooth or a set of veneers over all of the teeth that are visible when smiling. Sometimes he combines the placement of porcelain veneers with another cosmetic dentistry treatment during the smile makeover process to totally transform a smile. Veneers require a highly trained and skilled dentist with a strong sense of aesthetics. Dr. Green has many years of experience placing veneers and has achieved beautiful results that look completely natural. He is dedicated to staying up-to-date with all advances in veneer technique to offer his patients the finest outcomes. Veneers are carefully planned out to ensure a great fit, feel and appearance. Dr. Green usually creates a wax model of the finished veneers so patients have a chance to preview their restorations before starting treatment. This is an extremely valuable tool and eliminates a lot of back and forth to perfect the veneers. Veneer placement typically requires two visits to our Anchorage office. During the first visit, Dr. Green removes a small amount of enamel from the affected tooth to create room to accommodate the veneer. Impressions are taken and sent to the dental laboratory that constructs the veneers from blocks of high-quality porcelain. 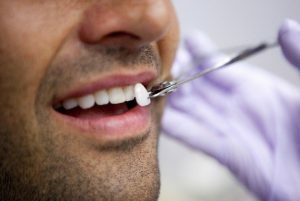 Dr. Green can place a temporary veneer at the first appointment to cover the prepared tooth. The veneers are meticulously fabricated to match the surrounding natural teeth in color, shape and size. Once the permanent veneer is ready, the second appointment is scheduled. Dr. Green removes the temporary veneer and places the finished veneer over the affected tooth. He checks its fit to ensure it supports a proper bite. The veneer is bonded into place and polished for a beautiful result. Veneers are strong and can last for many years with the proper care and attention. Veneered teeth should be brushed and flossed like normal teeth, and checked by a dentist twice a year. They should not bite down on anything hard like shells or pen caps. Patients that know they grind or clench their teeth at night should be fitted for a custom mouth guard to protect the integrity of their veneers. For more information about the uses or placement of veneers, please contact Turnagain Dental and request a consultation with Dr. Green.